Happy Tuesday, friends! I hope you’re having an awesome week. IS. HOT. HERE. (hiiii humidity!) & I’ve been hydrating like crazy because of it! I, deep down, love a sweaty workout during the summer months. 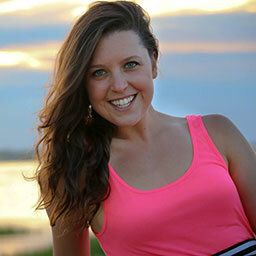 Maybe it’s the soccer player in me and the many years spent on grass fields with the sun beaming down that I’m used to. What I also love? A nice cold snack post workout or truly, at any point in the day, and POPSICLE’S bring back that childhood memory. I whipped up a new summer recipe for y’all! 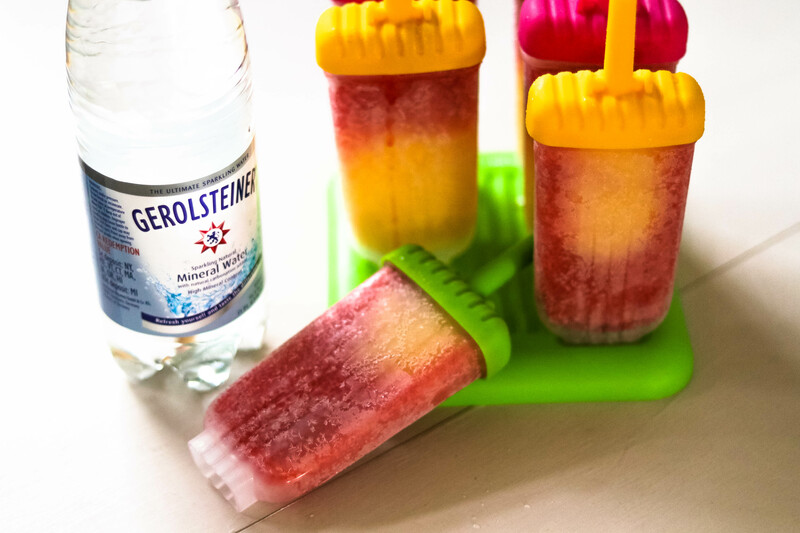 These Strawberry Mango Lime pops were SO easy to make & full of valuable minerals thanks to Gerolsteiner Sparkling Mineral Water as the liquid base! You could truly customize these in so many ways! I’m on a HUGE lime kick right now so I’ve been loving it with any combo. 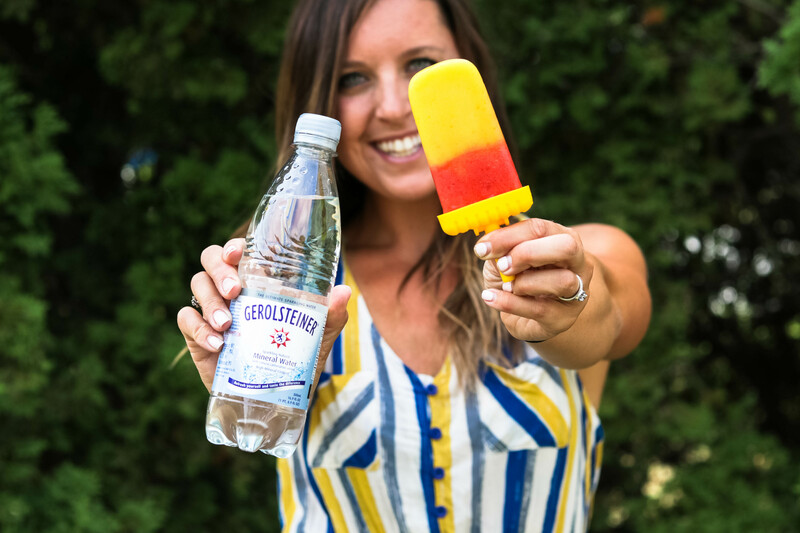 Fun Fact: One liter of Gerolsteiner Sparkling Mineral Water Mineral Water provides more than 35% of the recommended daily intake of calcium THEN add in the strawberries, limes, & mangoes & you’ve got even more of a boost! Blend each layer in your blender separately (for aesthetic & flavor purposes!). If you need the liquid a little less thick, add in a few splashes of the mineral water to thin it out. 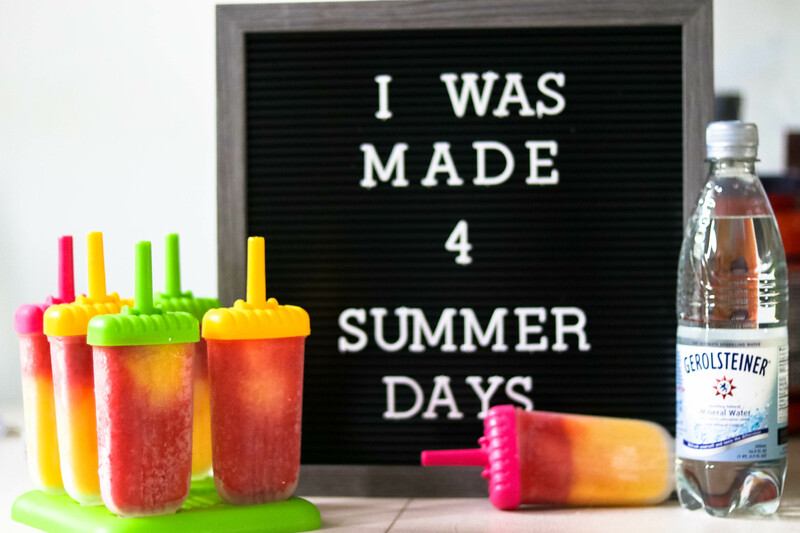 Pour the mango layer to the bottom of your Popsicle mold and then the strawberry/lime layer on top (I got these adorable molds on amazon!). Freeze for 2-3 hours & ENJOY! 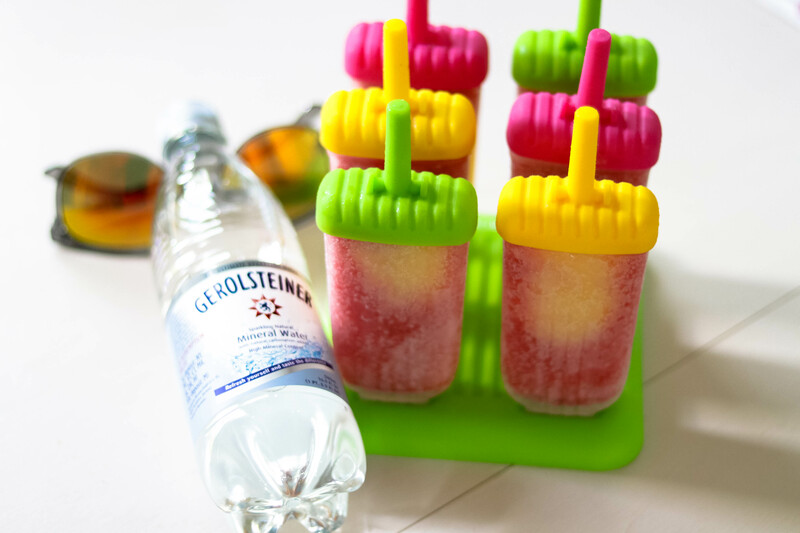 *Make sure to dip popsicles in a bowl of hot water or run them under hot water to easily remove from mold. Want to try out Gerolsteiner Sparkling Mineral Water? 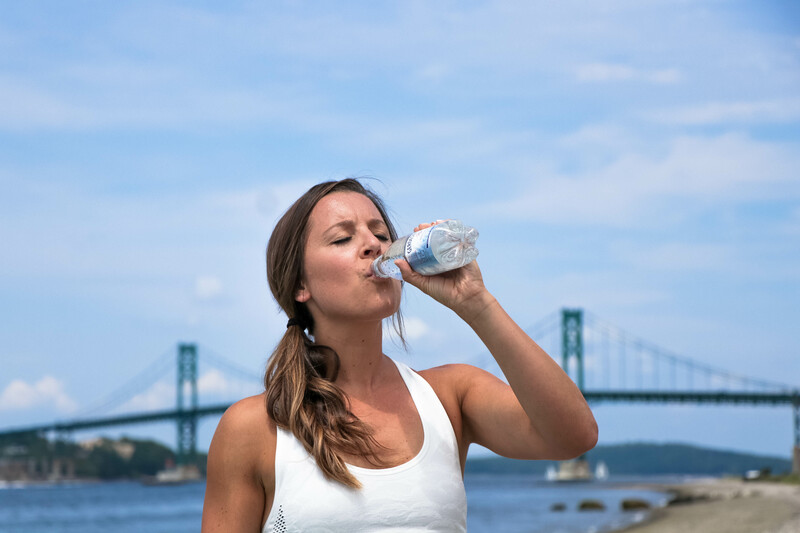 Join me & my friends from Fit Approach from Monday, August 27th-August 31st for the #SparklingDetox which is simply swapping out usual beverages (soda, juice, alcohol, coffee, etc.) and commit to drinking @Gerolsteiner_USA Sparkling Mineral Water for 5 days! This is NOT a typical “detox” (as y’all know that’s not mah thing) — we are EATING throughout, of course, but just making a simple hydration SWAP. Personally, I’ve wanted to try to cut my coffee intake for a week (and I’ve obviously been procrastinating on this….any other coff lovers out there!? …And I probably will procrastinate until this challenge! ;] ) and see how I feel as I know there can be benefits to reducing overall caffeine…so, this is a perfect time for me to try it for a few days with the support of this community! 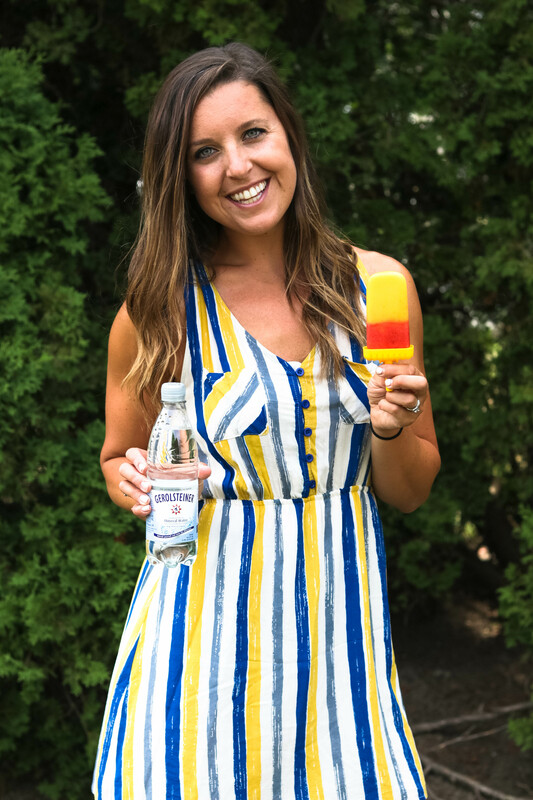 Click this link to sign up with the code “KASEY18” for a chance to win a free case of Gerolsteiner Sparkling Mineral Water in order to participate with us! 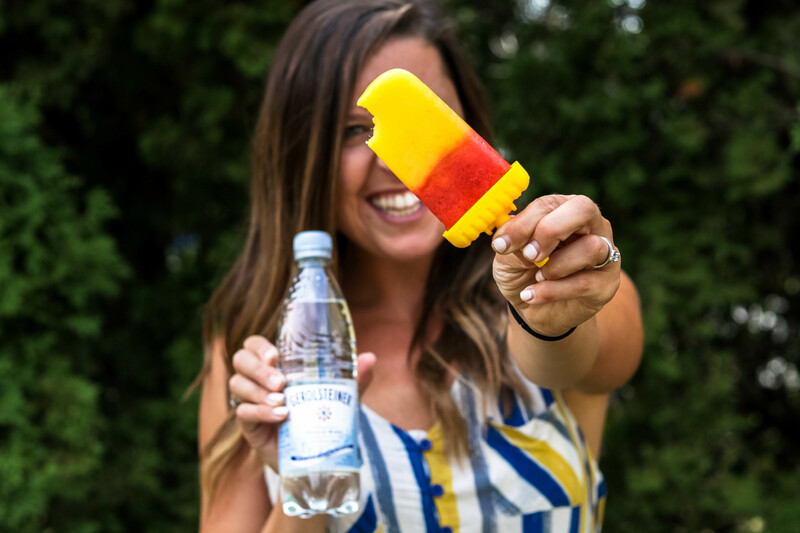 If you try out a version of these popsicles, let us know! hey guys, there’s been some talk on here about about this blog and I thought I’d give it a review after getting my iPad. I’ve been a member for 2 days now and so far its been really good. Oh my YUM I want these tasty pops right now!!! I think I’ll have to make them this weekend! OMG these look SO amazing. I want to make these right now, I’m SO hot in the car at the moment.. haha! These popsicles look SO delicious and refreshing! Hoping summer days last longer just so I can try these out!